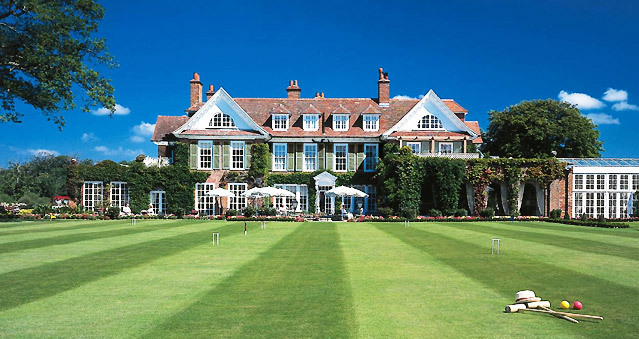 Chewton Glen; Best UK Hotel Spa (Conde Nast Readers’ Traveller awards), “Rural hotel of the Year” & “Best Overall Hotel” Food and Travel Readers Awards 2018, luxurious getaways, choose from 9 categories of stylish bedrooms and 3 suites. Four different types of meeting space offer versatility for any of your teambuilding activities – choose from Real Life Clu’Doo, Escape the Box, No Ordinary Quiz, The Haka Experience, Murder Mysteries, Ipad Movie Making and loads more. Chewton Glen’s lounge menus feature a wide range of traditional dishes as well as sandwiches and salads, whilst the Pool Bar provides lighter and healthier options and also serves up a daily Alkaline Buffet for those looking to maintain their body’s PH balance and increase their energy levels. The Spa is the perfect place if you are looking for ultimate relaxation, with a large range of treatments as well as award-winning facilities you are sure to leave completely relaxed. Location: on the edge of the New Forest National Park and within easy reach of Christchurch, Bournemouth and Southampton. If you would like to hold your next event at Chewton Glen, contact us on 0207 1676 717 or email us info@rightangleevents.co.uk.